23.12.2010 »» Cristiano Ronaldo scored 49 goals in 54 matches in 2010. Is the best yet to come? Cristiano Ronaldo, the portuguese striker from Real Madrid, says goodbye to 2010 with an impressive record: 49 goals in 54 official matches in the Spanish League (La Liga BBVA), the King's Cup (La Copa del Rey), UEFA Champions League and the Portuguese national team. These stats include all matches played by CR7 in the 2010 calendar year, so it obviously accounts the numbers from January 2010 untill December 2010, and not the just the current season. The only flaw that can be pointed at this point, is the lack of goals for the national team while Carlos Queiroz was stil the manager. During that era, Cristiano Ronaldo scored only 1 goal in 4 matches during the World Cup 2010 in South Africa. Since Paulo Bento took over, Ronaldo already scored 2 goals in 2 matches. If we consider his numbers exclusively for this season, Ronaldo scored 28 goals (26 while playing for Real Madrid and 2 for Portugal). In the spanish league, Cristiano Ronaldo already scored 18 goals in 16 matches (including the one against Real Sociedad, which some still argue that it should be earned to Pepe instead). This allows Cristiano Ronaldo to be 1 goal ahead of Barcelona's Lionel Messi, which has 17 goals. 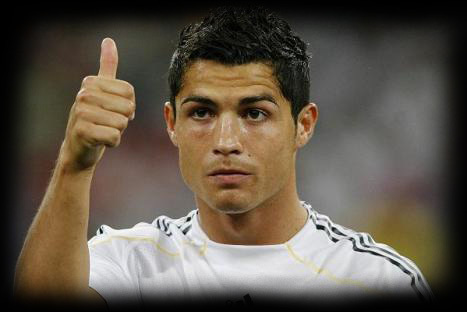 Will Cristiano Ronaldo be the "Pichichi" of "La Liga 2010-2011"? That's something we can only be sure about by May, since both Ronaldo and Messi just don't seem to get tired of scoring.